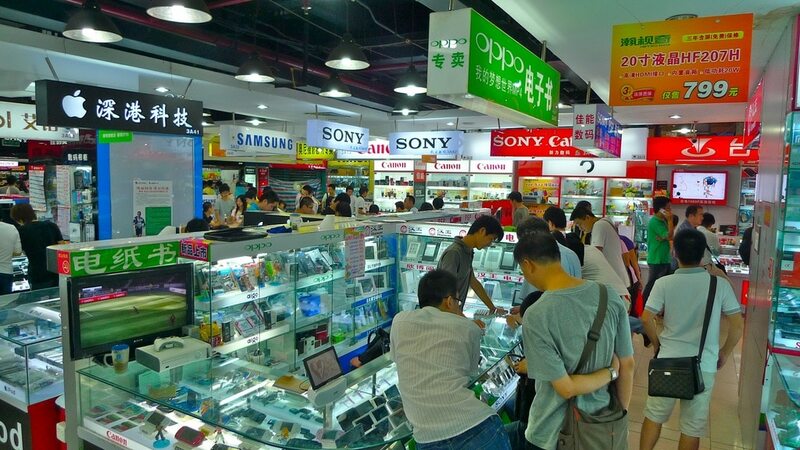 Shenzhen is generally regarded as the epicenter of the world’s electronics industry with most of the worlds major brands manufacturing their products here. 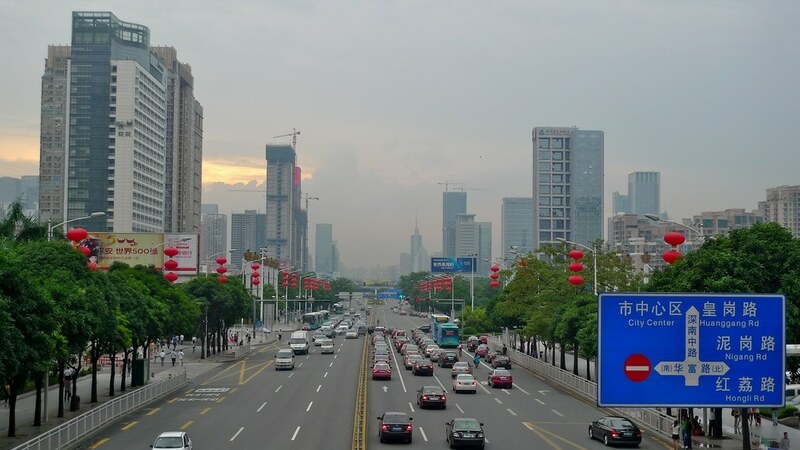 You can find virtually anything you want in the many electronic markets which can be found around the city, most of which are clustered around Hua Cheng Be (Hua Qiang Lu Metro Station, exit A). I’ve wanted to write about the area for the last couple of years but only got round to taking some photos last September during a trip there with a friend. 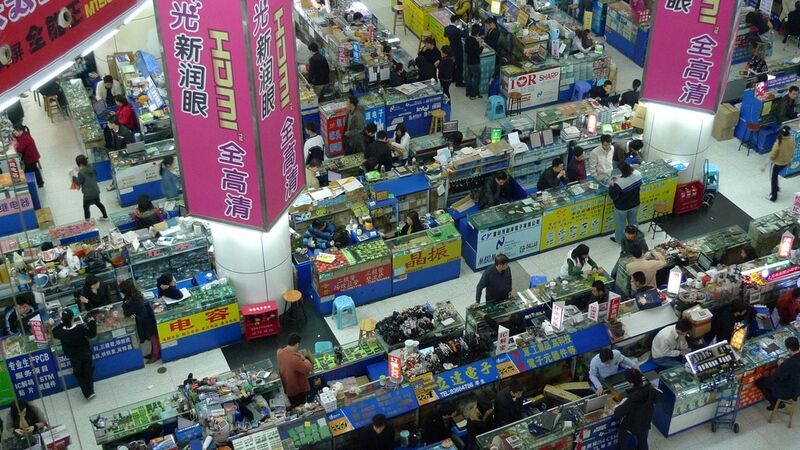 The first thing you’ll notice is that instead of a few big shops there are in fact thousands split over multiple floors in many buildings; a bit like a department store but much more chaotic. 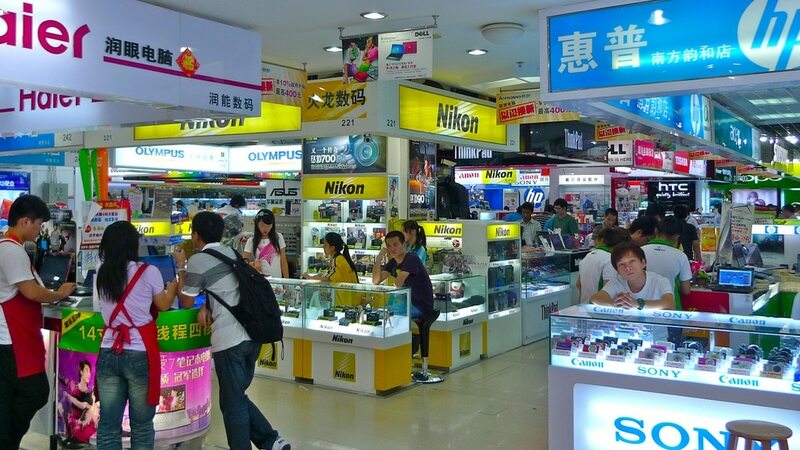 Each of these small retailers has a different speciality, be it digital cameras, phones, laptops, memory, or any conceivable component you can think of. You can buy complete systems down to individual resistors and integrated circuits. The diversity is staggering but if you’re looking for something unusual be prepared for a long hunt. 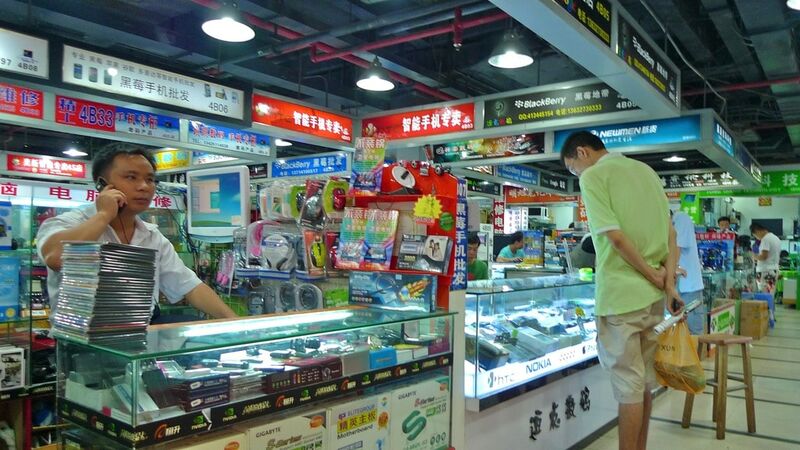 When purchasing anything from places like this be sure to haggle and have someone with you who can tell the genuine artifact from fakes which are everywhere. For individual components this can be particularly difficult so it’s best to test things out in the shop before parting with any money. Some of the merchants can be a bit pushy but are generally helpful and go out of their way to help you find what you want. If they don’t have the exact item you want they will likely know someone else who does. If you’re willing to buy something without an invoice they’ll often give you a considerable discount. 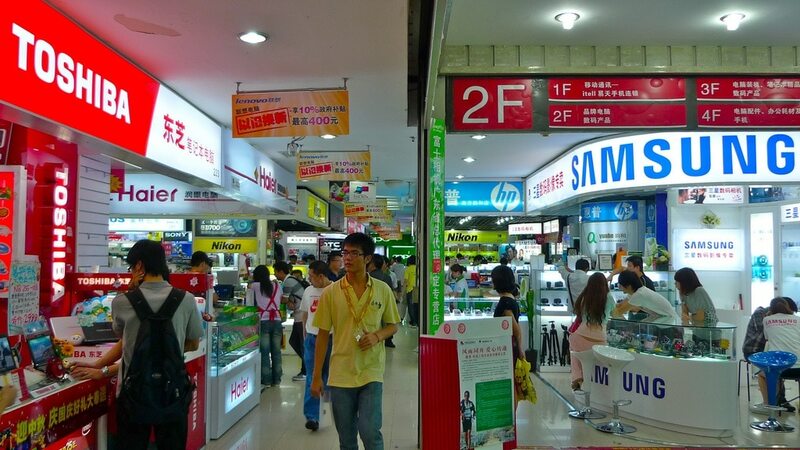 The most famous and original electronics market can be found in the SEG building (赛格广场) on the corner of Huaqiang Bei and Shennan. 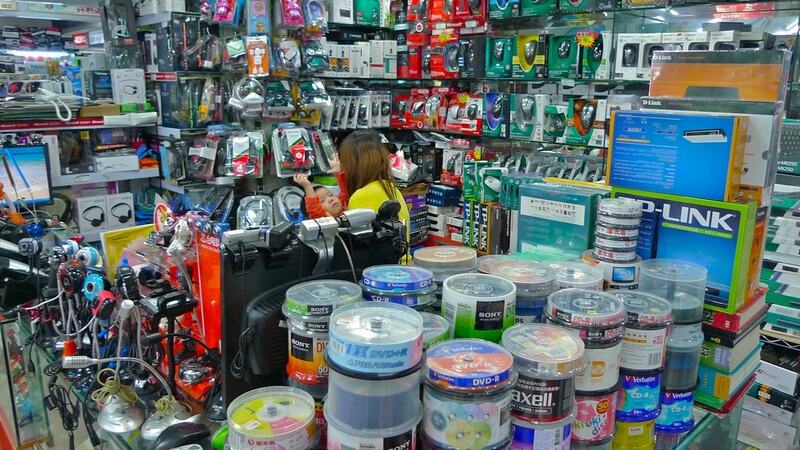 It has seven floors of small stalls selling electronics items; the first two are wholesale components and the rest is dedicated to consumer goods. I feel a bit sorry for the people who work long hours in here day-in day-out since the space is so cramped and there are no windows. Only in China could you find anything like this on a similar scale and even if you’re not actively looking for anything in particular it’s a fascinating place to window-shop. Outside the metro station you will also notice groups of middle-aged women squawking “fa piao” (发票) at everyone who walks by. What they’re selling is fake invoices which unscrupulous business-men use to claim false expense at work, something I wrote about before – illegal but clearly thriving. You summed up Hua Qiang Bei quite well. I didn’t see mention of the software / dvd hawkers on the street or the men approaching you with IBM think pads at amazing prices. HQB is nothing if not a sensory experience. 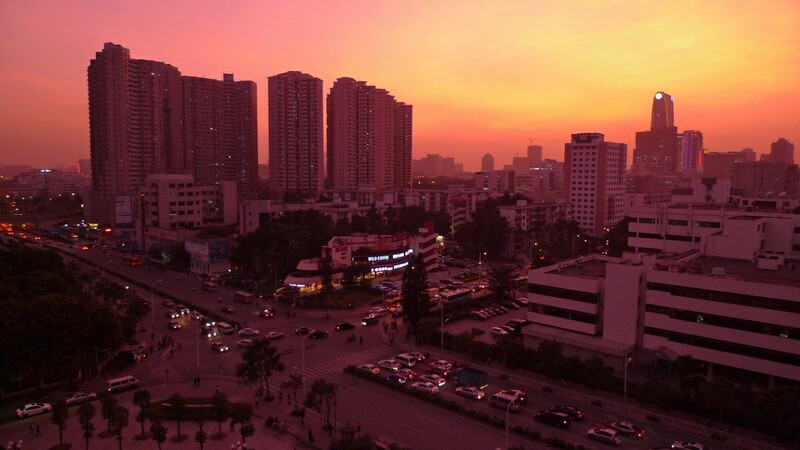 The fa piao ladies do provide a service to those other than, “unscrupulous business-men.” Many Chinese companies pay a base salary and “extras” based on receipts submitted by employees. Given merchants’ reluctance to provide receipts these ladies do in fact help keep the economy humming. Interesting point about the fapiao ladies but seems to be a sign that the system is broken. I wish Chinese companies would just provide a single base salary without all the “extras” which is just inviting corrupt business practices. It’s quite a huge place yet you wrapped it up in few picture and line of text , brilliant job. I would appreciate if you could post the building plane as well , it’ll give us a better image of the whole area .